Giving yourself a facial at home on a routine basis is a wonderful way to maintain beautiful, healthy and glowing skin. Personally I always love to incorporate a little light music and a warm and inviting bath for a truly nourishing experience. I always suggest using natural and organic skin care products since they provide great skin benefit without toxic substances that are harmful to our health and the environment. Here are some suggested products and equipment you will need to get started. Set out all the equipment and products you need to complete your facial. Use a hair band, headband or bobby pins to secure your hair out of the way from your face and neck. Wash your hands to avoid transferring dirt and oils onto your face. Using your cotton pads or cellulose sponge remove all make-up on your face including your eyebrows, eyelids, and under eyes. Wipe from various directions: outwards, top to bottom, inwards and then circular. Take a new cotton pad moistened with makeup remover and also remove any lipstick. Rinse your face with lukewarm water which is the best temperature for delicate facial skin. Apply a generous amount of facial cleanser appropriate for your skin type on the palm of your hand. Use oil free cleanser for oily skin and a milky or creamy cleanser for dry skin types. Begin applying the cleanser to the face, neck and around the ears using gentle circular upward massaging “flying” motions. Rinse with warm water and pat dry with a soft, clean towel. Exfoliation involves the removal of the oldest dead skin cells on the skin’s outermost surface. Dead skin cells can build up making it more difficult for serums and moisturizers to penetrate the deeper layers of the skin. Personally when I have build up on my skin it looks older and dull. Take a facial scrub or another exfoliating product and squeeze a generous amount onto your hands to gently rub over the skin. Use circular movements just as you did to cleanse your skin. Give your face a final rinse to remove all traces of your facial scrub. You may need to use a washcloth dipped in warm water to remove scrub from around your eyes and nose. Finish by patting your face dry with a clean towel. Facial masks can draw out impurities like dirt and dead skins from your pores and balances pH. Apply a mask that is best for the skin type, and apply it with a mask brush or with clean hands. For oily skin, use a clay-based face mask. For dry skin, go for a hydrating gel or cream mask. Clay masks should not be applied over the eye or mouth area, whereas mud masks can be applied over them. Apply the mast to forehead, up to eyebrow line, and over temples. Gently spread mask over the remainder of the face, avoiding the eye areas. Leave the mask on for 10 – 20 minutes (or according to the directions on the product), in the meantime lay back, maybe relax with a nice bath and place two cool cucumber slices over your closed eyes or two chilled teabags for an eye treatment. Once complete use a hand towel with warm water to rinse off the mask material. A moisturizer or serum tailored to your skin type can provide healthful effects on your skin and will preserve the results of your facial. Take your moisturizer or serum and apply a small amount to your hands. Gently apply the moisturizer all over the face and neck. Don’t forget your neck, she is often forgotten. Using your ring and middle finger, massage in small upward circular motions. Wait a little while before you start your regular makeup routine to give your facial skin the chance to rest and reap the full benefits of your facial. Makeup normally contains alcohol and a wide range of chemicals, and applying it right after exfoliating your face and cleaning your pores could cause irritation. Any other facial treatments such as facial waxing 12 hours before or after a facial is not recommended. 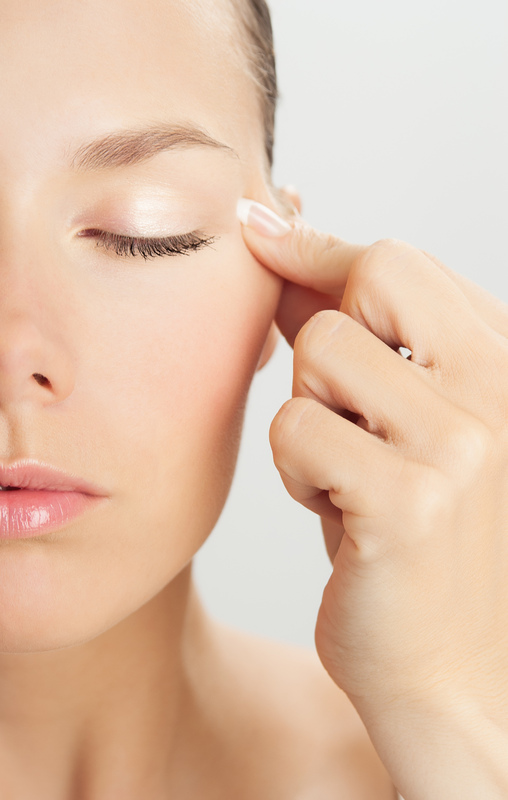 Depending on your skin type a facial can be a good tool for skin health. For normal mature skin I find once every 1-2 weeks works for me however for sensitive skin you may want to go with a 2-4 week regime. If you have sensitive skin always patch test new products to be sure your skin does not react prior to going forward with a facial. To preserve your skin select a natural sun block and apply it over the face and neck. Use the technique of pushing and spreading evenly instead of harshly rubbing. Use this diligently whenever you need to go out.